Designed for use with No.2 pencils or Melissa & Doug’s very own Learning Mat Crayons, trace the grey dotted block letters and numbers, then when you’re ready, try writing freehand with the provided lines. 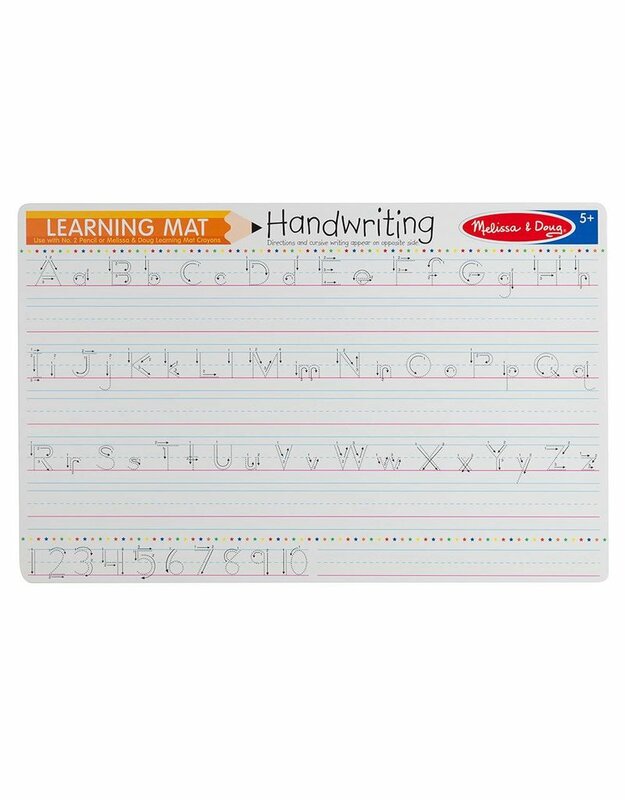 Then when you’re ready for a bit of a challenge, flip the mat over to practice your cursive writing skills. Includes a dotted guide with arrows for handwriting the letters of the alphabet numbers from one to ten. Additional space from practicing your writing of numbers below. 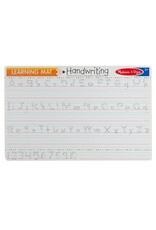 Includes block letters and numbers on one side with cursive writing on the reverse. For use with No. 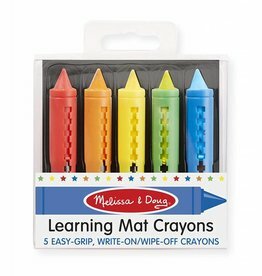 2 pencils or Melissa & Doug’s Learning Mat Crayons (Sold Separately). Use clean eraser to remove pencil marks. Use wet paper towel to remove crayon marks. Full clean with warm water, soap and a non-abrasive sponge and allow to dry.